The ONS will receive £9 million to develop cutting-edge methodologies to measure the UK economy. 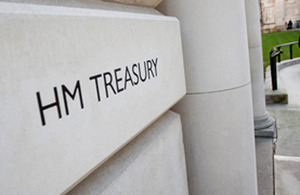 The ONS will receive a funding boost of £9 million to develop cutting-edge methodologies for measuring how the UK economy is performing, the Chancellor announced today (12 April 2019). The new data will improve our understanding of the economy and ensure policy-makers can use new “super-fast” indicators to inform decisions that affect the whole country. Develop a range of “super-fast” indicators of economic activity, utilising big data sets to create a clearer view of how the economy is changing in real time. Implement the superior “double-deflation” methodology of calculating GDP, improving how we measure costs, prices and production. This will bring the ONS in line with the highest international standards, give us a more accurate picture of how the UK economy is performing, and provide better estimates of productivity and output across the economy. Fulfil its ambition of training 500 fully qualified government data scientists by 2021 to support better policy-making and understanding of the economy. Today’s services-dominated digital economy is more complicated and fast-moving than the goods-based economy of the past. This funding will help the ONS keep pace with our changing economy, ensuring that UK statistics more accurately capture economic activity, which is crucial for government policy-making like tax and spending plans. It will also help train the next generation of data scientists, making sure we have the skills to better understand our data-rich economy. This funding will ensure we’re modernising our data measurement alongside our wider investments to build an economy fit for the future, including investment in AI research, speeding up the rollout of full-fibre broadband and making tax digital. We have also committed to raising economy-wide spending on research and development to 2.4% of GDP by 2027. Our modern economy is rapidly changing and it is vital we have the data and tools to understand it. Funding for new data scientists, improving our statistics and harnessing the power of big data will help us to quickly identify and address the challenges of the new economy and seize the opportunities that lie ahead. Recent investment in the ONS has driven some important new developments in the measurement of our rapidly evolving economy. The continuing support of HM Treasury will enable the next stage in our transformation of the UK’s key economic indicators. The “double-deflation” method represents a fundamental change to the way GDP is calculated by implementing a new framework which more coherently brings together all the existing data used to calculate GDP and makes better use of data on price changes to improve the consistency between real and nominal estimates. boosted the ONS’s analytical capability, including through a five-fold increase in number of economists in the ONS workforce to over 120. The government is also working to maximise the benefits new technologies can bring to our economy and society. We have also launched the Business Productivity Review in partnership with BEIS to better understand how and why productivity varies across firms. The review found that good management and technology adoption were the key drivers of the differences.